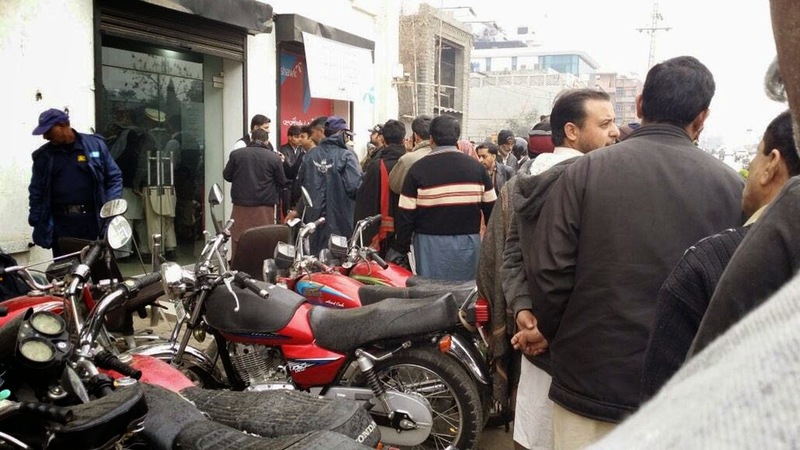 After announcement of SIM verification long queues are being witnessed at the centers of all cellular companies. As per Pakistan Telecommunication Authority (PTA) directions all cellular companies are advised to complete the re-verification process of subscriber identification modules (SIMs) through bio-metric devices by February 26, 2015, on the other hand unverified SIMs will be blocked after given date. Unusual hustle and bustle was witnessed on all franchises and cellular services centers and retails outlets. All the Bio metric equipped centers are full of people who wants to get their SIMs verified. Even special counters have been set up to facilitate citizens and companies are accommodating people after their office timings as well. A number of people appreciated government’s initiative to end terrorism and set records of registered mobile users. They say society will be safe through this step but they should have given more time for verification process, or have started it earlier. Many people complaint that due to time constraints they fear their SIMs will not get verified within due time. They cannot afford their SIMs to get blocked. They demand from government to extend the date for verification.